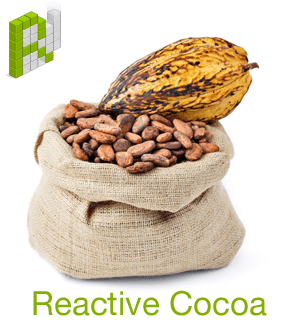 Reactive Cocoa in 3 simple steps! If you made it through installing ReactiveCocoa, via Cocoapods, which required you to have ruby, update it and install Cocoapods and CLT, then you’re already ahead! So here is RAC. RAC is used when you need to be notified of something important in your app; completed download, some long asynchronous task like data fetching, parsing or image processing is complete or to update UI such as a completed form produces an active Submit button or an incomplete field yields a red warning sign to the user. It seems 99% of the articles out there give you hundreds of partial snippets of how to do something. I’ll give you a nice, concise and complete project. (for tips on installing all these things:http://www.raywenderlich.com/12139/introduction-to-cocoapods && http://cocoapods.org && http://www.raywenderlich.com/55384/ios-7-best-practices-part-1). These all use Cocoapods installation for their projects but Ill be posting a complete article on how to do this next! As a pre-requisite, create a SingleView project in Xcode (5.0.2 at the time of writing) and you get a ViewController class with storyboard. Add a class called LoginModel as a subclass of NSObject to your project. These are all the classes you are going to need. Now let’s add RAC; so close Xcode and install the Reactive Cocoa pod which will create the workspace. Now open Xcode back up and open up your workspace, not your xcodeproj file. 1. Create a signal method in the Model Class. 3. Call the signal method from the view controller. Before we get started, don’t forget to add the ReactiveCocoa import to the prefix.pch file in your project. We are simply declaring a RACSignal method to be called. What it does is check (filter) any names passed to it to make sure it doesn’t match anything in the forbiddenNames array. The cool thing is that it doesn’t just wait to be passed that info in order to check it…it observes for any changes in the value of the LoginModel property self.username. Now let’s move over to the view controller, the UI! Then we create a signal to make sure we update the model username when the vc username changes and finally we call the model method to check (filter) the values. That’s it! Run the app and you should get your textfield displayed. If you type in any of the names in the forbiddenNames array, you get a UIAlertView. LoginCommand which we will see in a future post! Lastly * results! This might be the most important part of this article. You noticed I have a few * thrown around. I guess the thing that most threw me off about RAC was that in some of the simplest cases, like observing a name property change, an NSLog would confirm that everything had worked out. However in many other cases, specifically the ones with *, there is no result! I just want to thank Colin Eberhardt & Colin Wheeler as well as Ray Wenderlich for helping me out with this stuff! Previous PostPrevious Why Im not excited about multitasking!